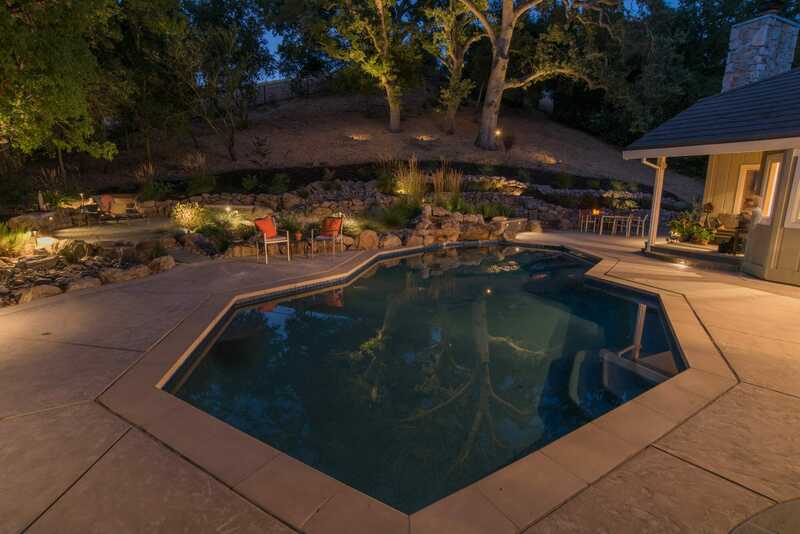 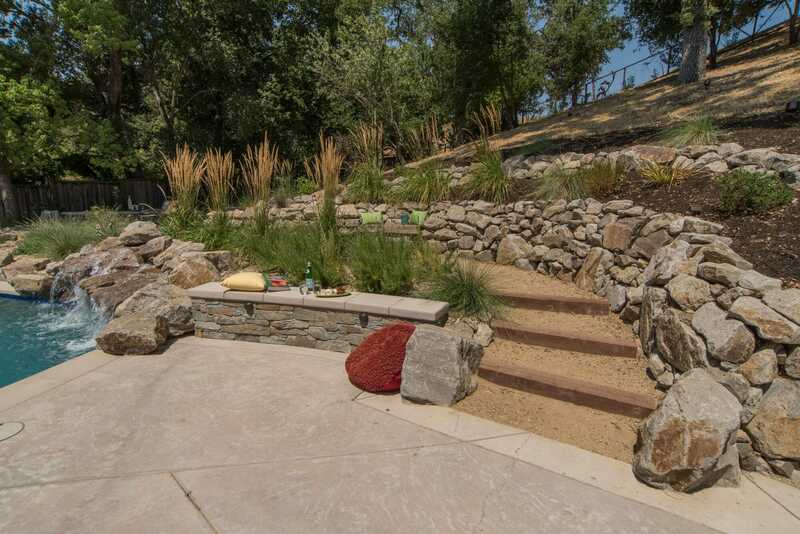 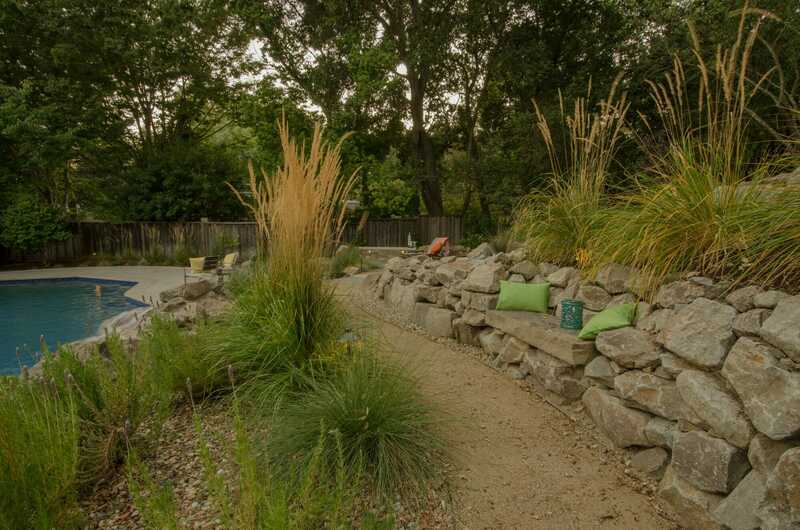 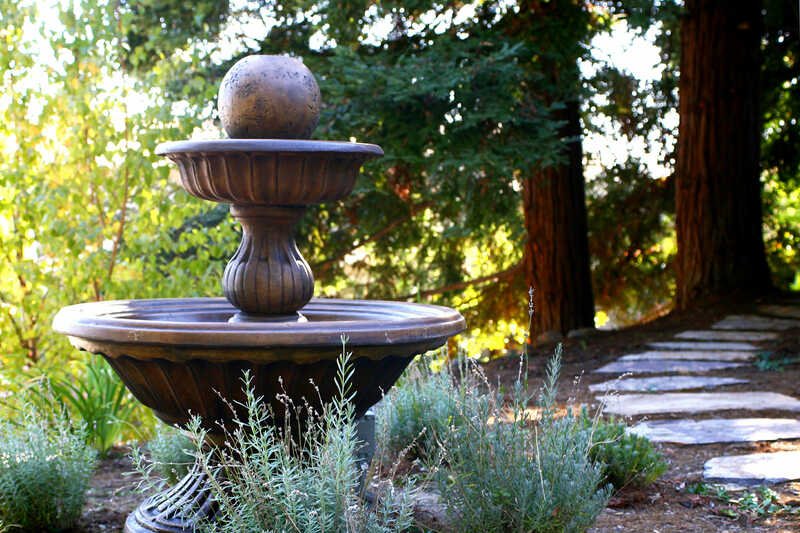 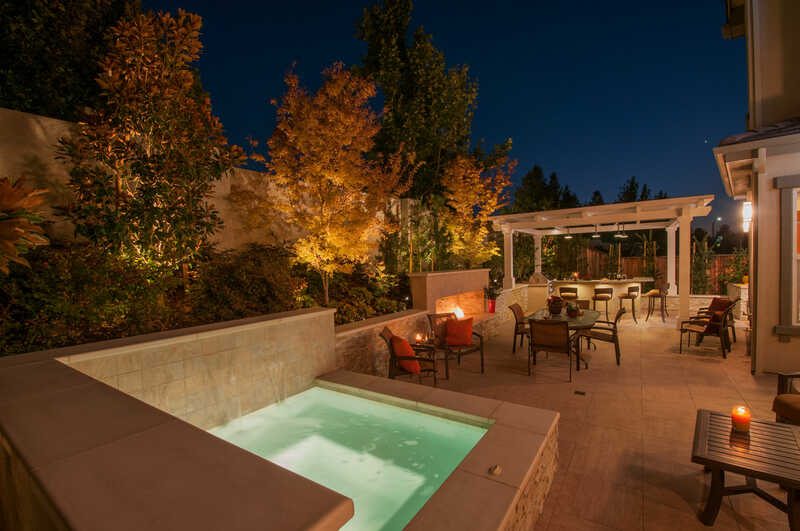 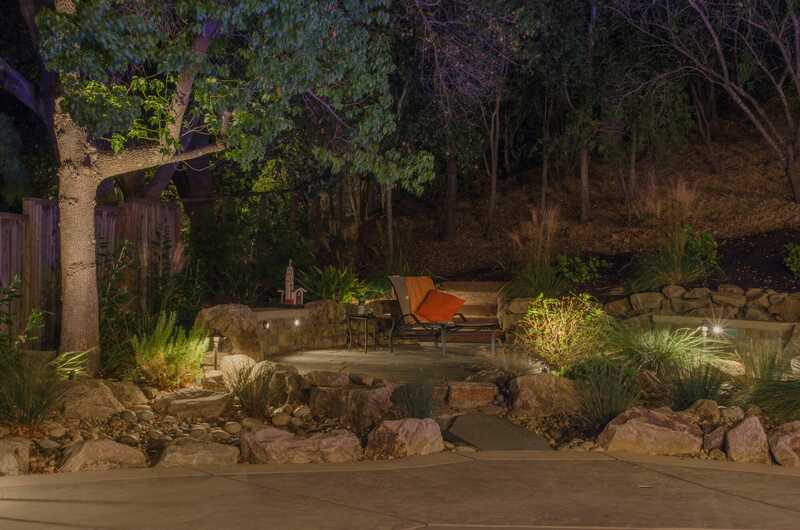 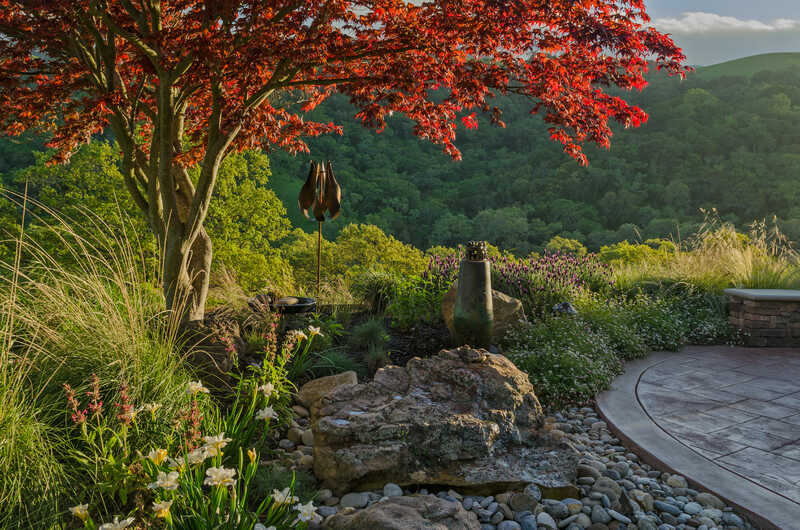 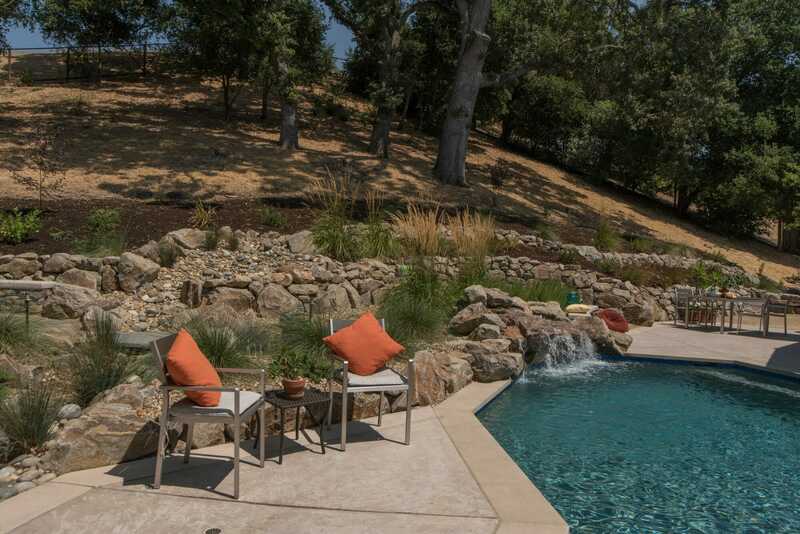 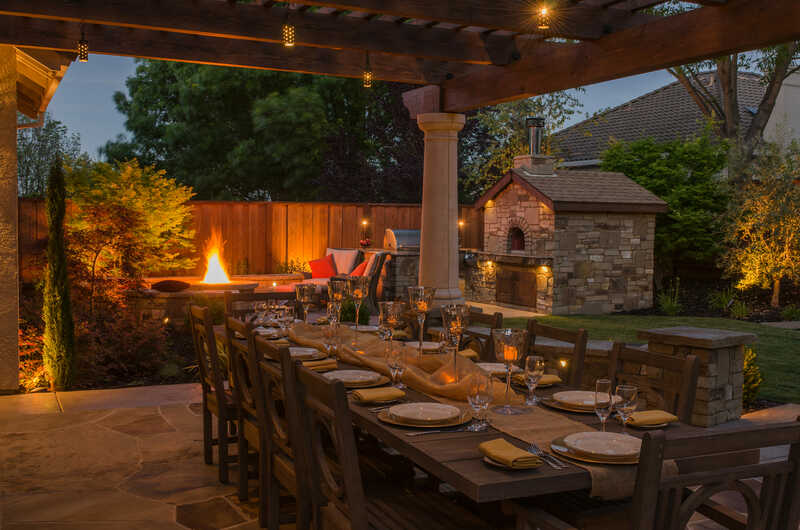 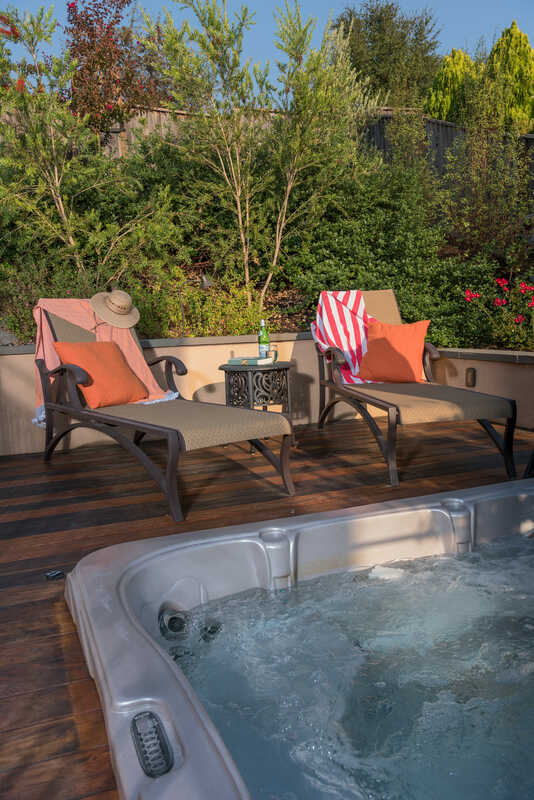 Though a beautiful hillside studded with majestic native Oak trees, this Danville backyard was underused and outdated. 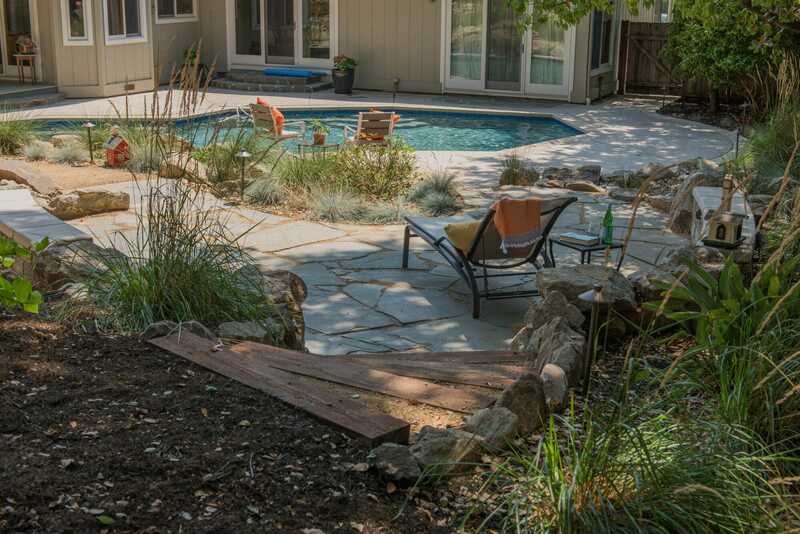 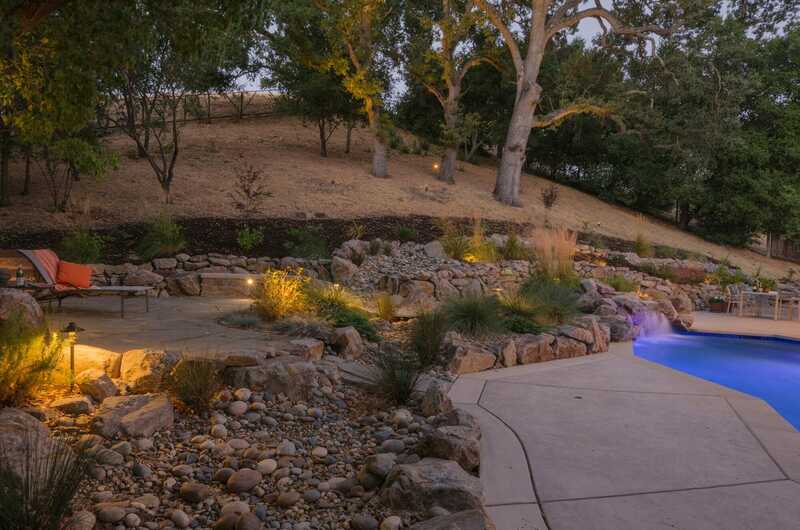 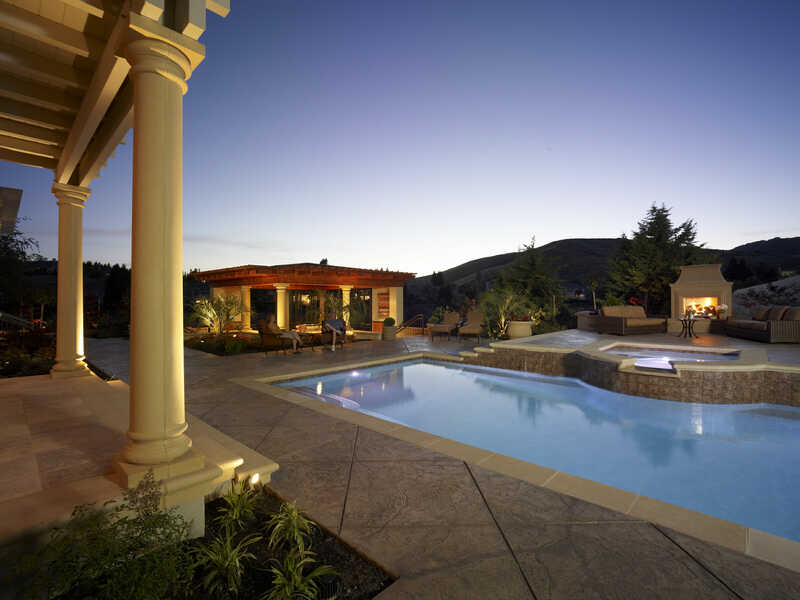 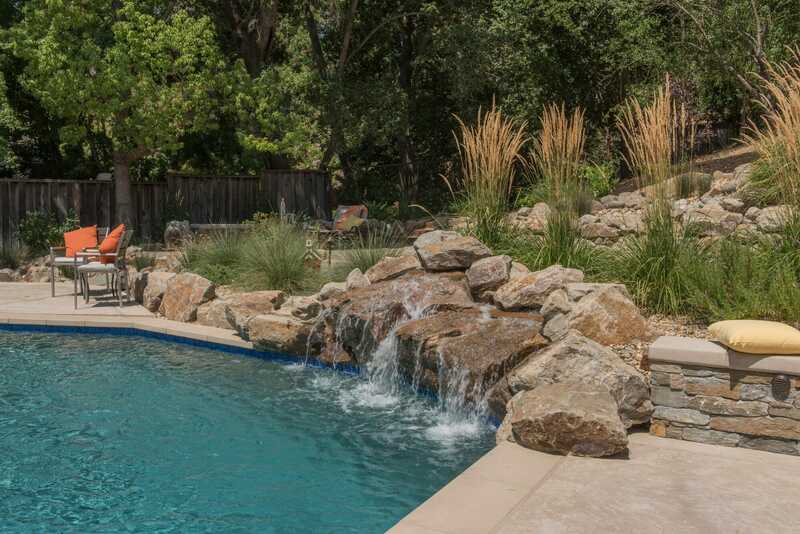 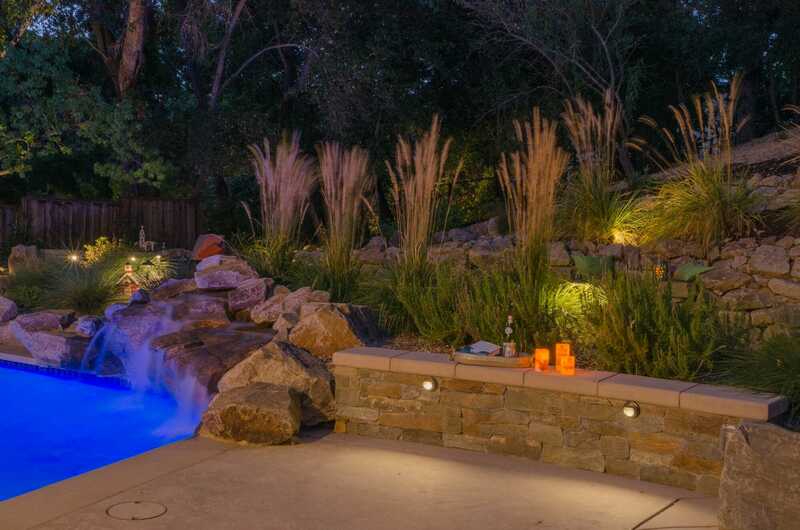 What started as a pool renovation, turned into a pool with boulder waterfall and nearby meandering garden paths. 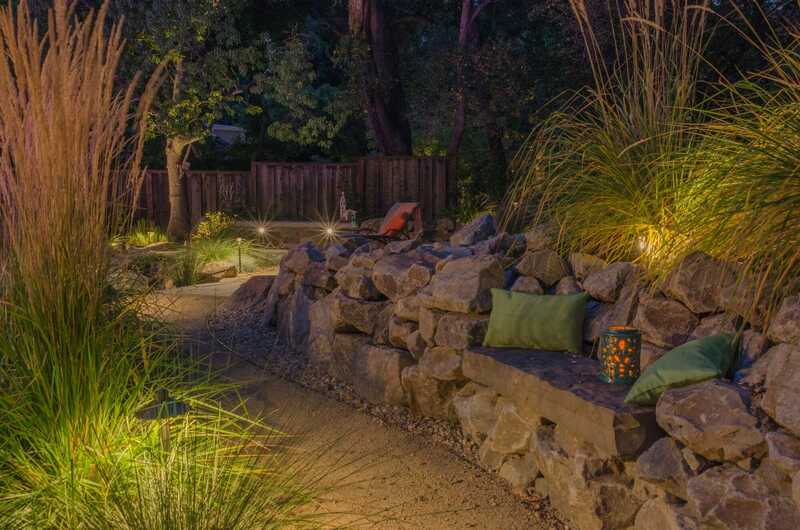 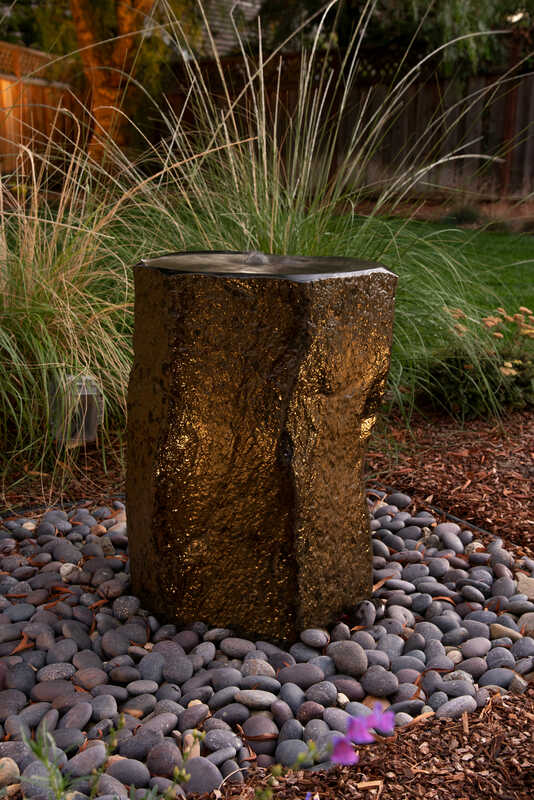 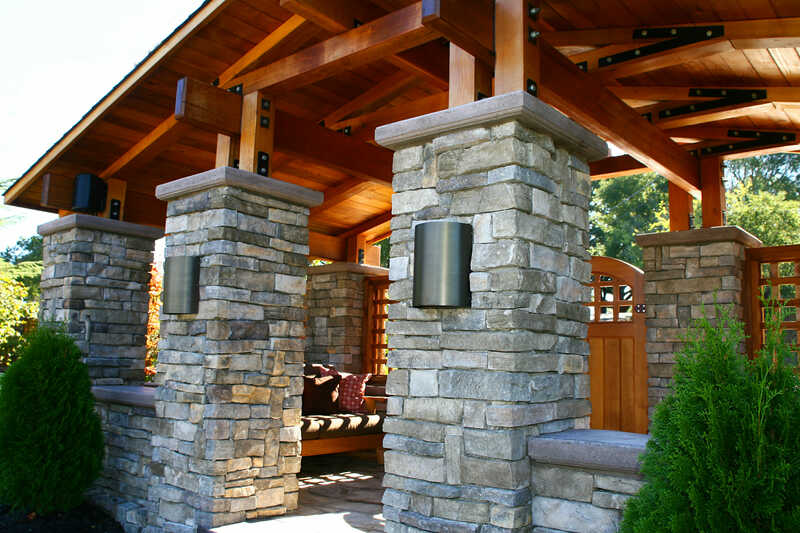 Cozy garden spaces are connected by a naturalistic path which is perfect for a casual stroll. 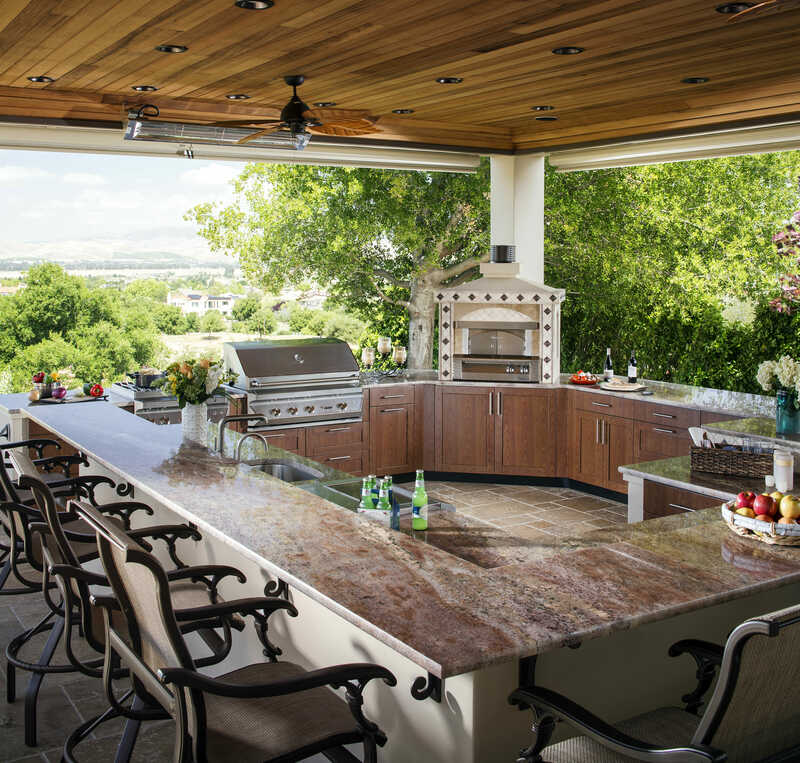 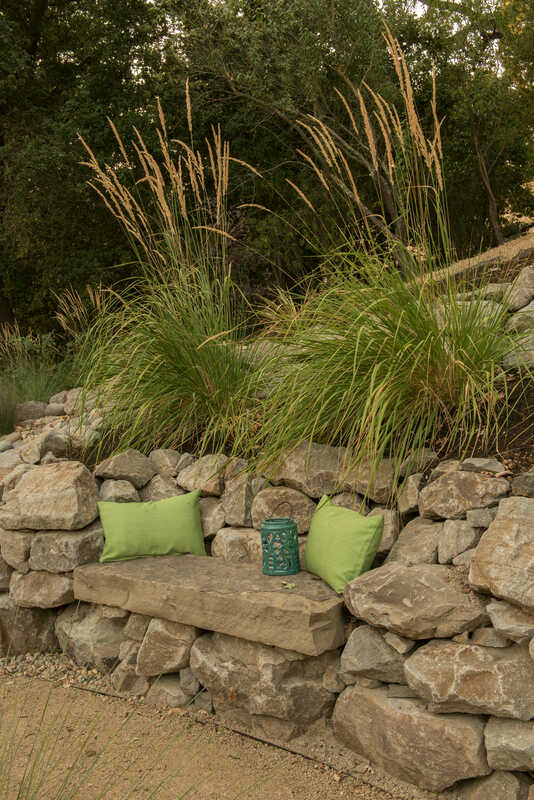 The natural boulders throughout this space make it feel like it was carved right out of the hillside. 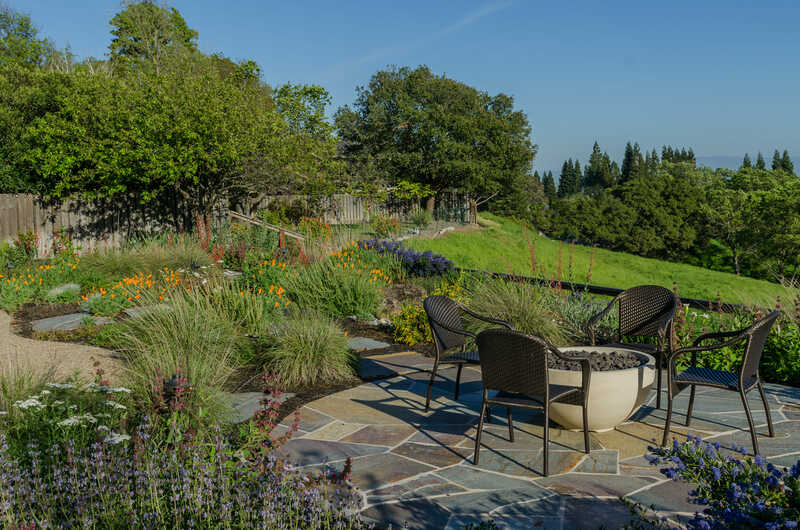 Native grasses and seasonal plants blur the lines between what was built into this environment and the natural California surroundings.